Bhubaneswar: 3 politicians will be named as BJD candidates for the upcoming Rajya Sabha election in Odisha. 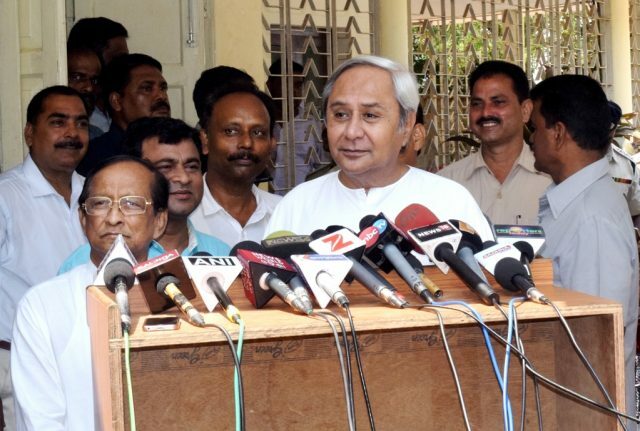 This was informed by the Chief Minister Naveen Patnaik in Bhubaneswar after returning from 2-day Delhi tour . CM Odisha CM Naveen Patnaik briefs media on his meeting with President of India, Rajya Sabha election and Bijepur Bypoll. He said that party will declare their names soon.BJD candidate will win the Bijepur Bypoll with good margin, says CM Naveen Patnaik. CM Patnaik informed that President Ram Nath Kovind would inaugurate a museum and a school in memory of Biju Patnaik at the premises of the legendary leader’s house Anand Bhawan in Cuttack in March. The inaugural function will be held either on March 17 or 18 according to the convenience of the President.